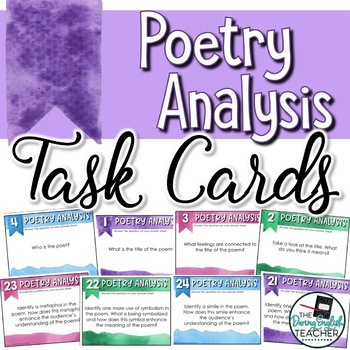 These poetry analysis task cards work with any poem of your choice and help students take a deeper look at the literal, figurative, and symbolic meanings in poetry. 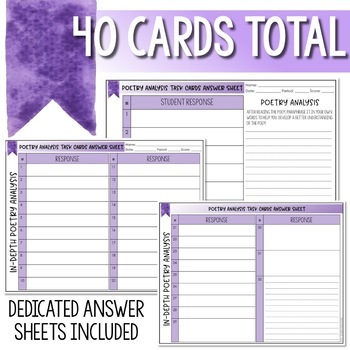 There are two sets of task cards each included in this resource. The first set includes 8 task cards. 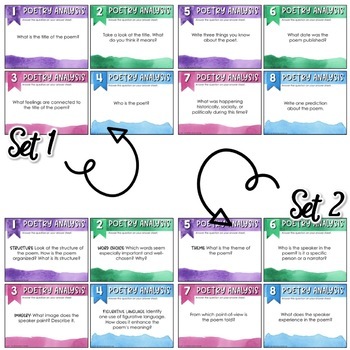 This set is designed for students to help them pre-read a poem. 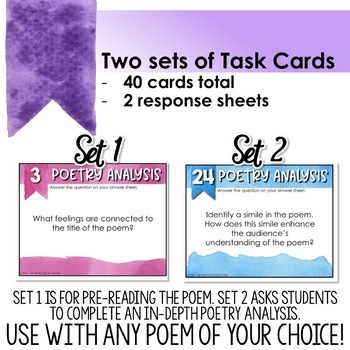 The second set includes 32 task cards that are ideal for analyzing a poem in more depth. Included in this resource are four sets of student directions for differentiation. These directions work for groups or individuals. Furthermore, one set of directions adds more rigor by requiring students to support their answers with a quote from the text. This resource also includes two different answer recording sheets, and suggested ways to use task cards in the classroom. This resource is sold as a secured PDF file. There is a complete listing of questions in the preview.